Successfully Added Bluetooth Speaker IP Camera - 2MP CMOS, 1080p Full-HD, 5200mAh Battery, 10m Night Vision, Dual TF Card Support, APP Support to your Shopping Cart. Listen to your favorite songs and upgrade your home security with this state of the art 2-in-1 Bluetooth speaker IP camera. Although this gadget might look like any regular wireless speaker, it is in fact so much more than that. With its built-in Full-HD camera, this Bluetooth speaker functions as a well-hidden security camera for at home or in the office. The camera features a 2MP CMOS sensor that treats you to crisp 1080p FHD footage. Thanks to this, you’ll always be treated to clear and lag free images of anybody who has entered your property. The Bluetooth speaker security camera supports Dual-TF card mode. It treats you to 128GB of storage for your security footage and another 128GB to store your favorite tracks. With its modern design, this gizmo goes great with the interior of any modern household or office. It comes with a touch panel for easy usage and packs a whopping 5200mAh battery for hours’ worth of usage time. Thanks to its APP support for both iOS and Android phones, you’ll be able to play music via your phone’s music library or to remotely access your camera while you’re not around. 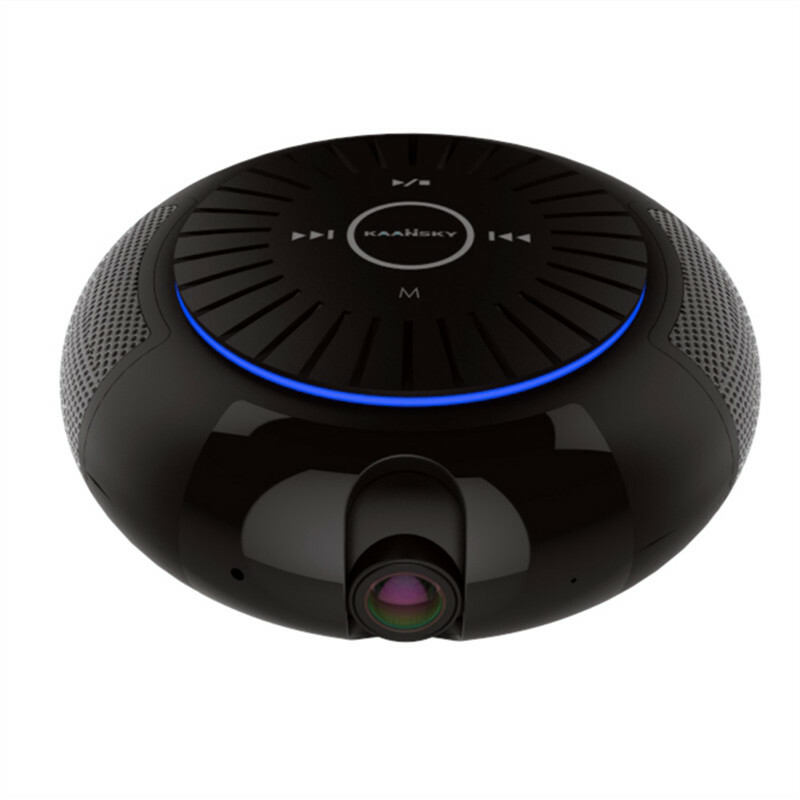 The camera comes with a 180-degree lens that delivers a clear overview of all what’s happening at your property. It furthermore supports 10m night vision to protect your home around the clock. This Bluetooth speaker IP camera comes with a 12 months warranty, brought to you by the leader in electronic devices as well as wholesale security gadgets..